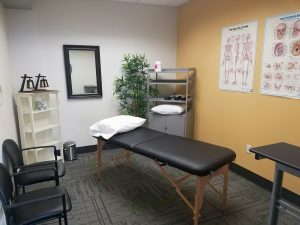 Absolute Wellness Center offers a variety of treatment options for our patients, including sports medicine, chiropractic medicine, physical rehabilitation, acupuncture, and massage. 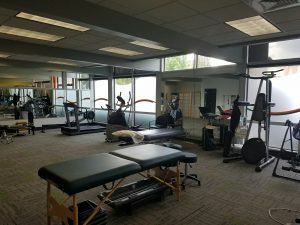 But one area we are particularly proud of is our Rehabilitation Facility, which is full of equipment for use by our doctors, our physical rehabilitation team, and of course, our patients. 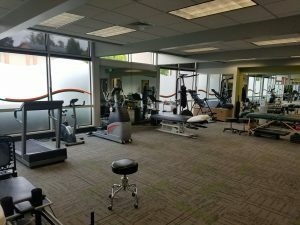 From floor mats to exercise bands and balls, weights and cardio equipment, and plenty of space available for whatever rehab exercises your doctor or therapist has in mind for you. 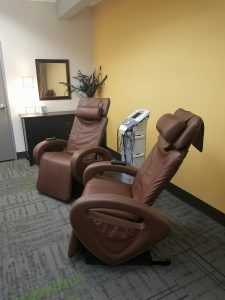 Our clinic has a strong focus on rehabilitation exercises, which we believe give you the tools you need to not only get you feeling better faster, but keep you better longer so you don’t need to keep relying on us! 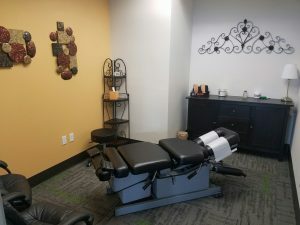 The Rehabilitation Center is a comfortable, fully-functional space for you to learn the tools you need and show you how to do many of them at home. Whether you are recovering from an injury or taking your health to the next level, we have the space and equipment to make it happen. More information on physical rehabilitation at Absolute Wellness Center is available on our Physical Rehabilitation Page. 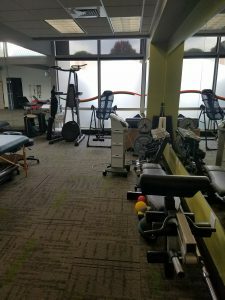 -All the tools Dr. Herb and the physical rehabilitation team need for rehabilitative work, with plenty of space to stretch and perform exercise. A variety of strength training equipment, including free weights. A variety of cardio equipment, including walking, biking, elliptical, and rowing. Individual rehab suites for manual therapy and discussion with your provider. Privacy for therapy modalities like electric stimulation, heat and ice, ultrasound, and other care needed.